We visited Petersfield Physic Garden at the weekend; tucked back from the busy high street, unless you bothered to stop and read the sign, you’d never in a million years guess this little green haven was even there. We were greeted by a carpet of daffodils, shoots and buds everywhere, and a sundial that captured Ben’s heart completely (“and, you can tell the actual time!”) – admittedly, being early Spring, it’s still a little bare, but it’s easy to see what an amazing place it’ll be once Summer takes hold. We’re doing some things around the house again; stripping back, trying to get a more simple and clean look. Over the last couple of years, I’ve found myself tiring of being surrounded by jumble and longing for a bit more simplicity (and, truth be told, I’m a bit fed up with all the fiddly dusting that goes with having lots of things around). We have a lot going on at the moment, and I’d like my home to be somewhere that feels calm and peaceful – as it stands, I often feel like I’m about to be crushed by a tidal wave of ‘stuff’. I want more plants, more natural materials and fabrics, with a little vintage and some colour thrown in for good measure – I want everything to look like it belongs together, rather than it looking like it appeared there by accident. I’ve been pinning LOADS of plant-based images on Pinterest, and have become slightly obsessed with houseplants and planning for our little patio area. We’re going to have plants literally everywhere – stacked up on old shelves (we have plenty, thanks to my skip diving antics last year), in crates, in tins, in tiny pots and huge ceramic planters, both inside and out. Life is always good if you’re surrounded by nature! 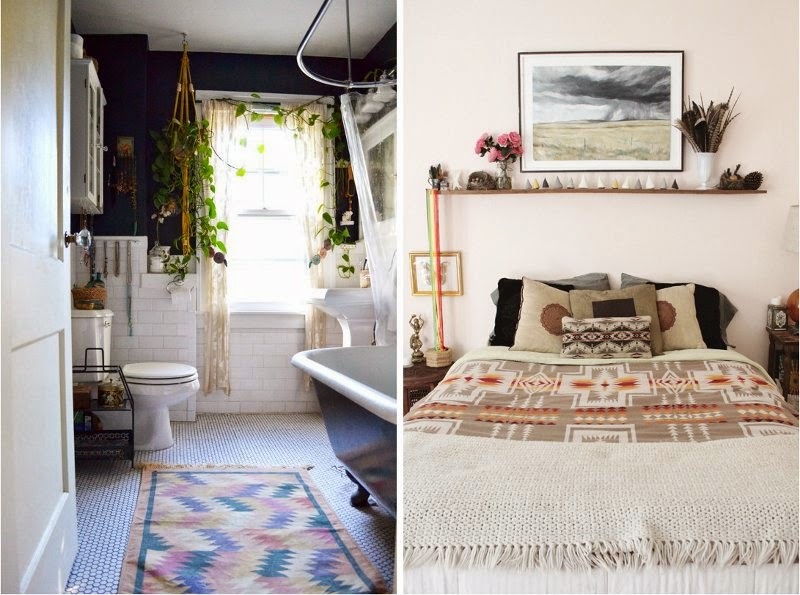 Left: via Apartment Therapy and right: via Jaclyn Campanaro, who is the most INCREDIBLE photographer. What beautiful photos! I didn't know about this place, but I am definitely going to check it out. I too have been itching to clear our house out a little. There's something about this time of year! Oooohh, hello, always lovely to meet other locals! Just had a look at your blog – lovely IOW photos, we're desperate to go, but that is such an expensive stretch of water! I'm literally decluttering as we speak – it's going to be a bumper week for the charity shops, haha!